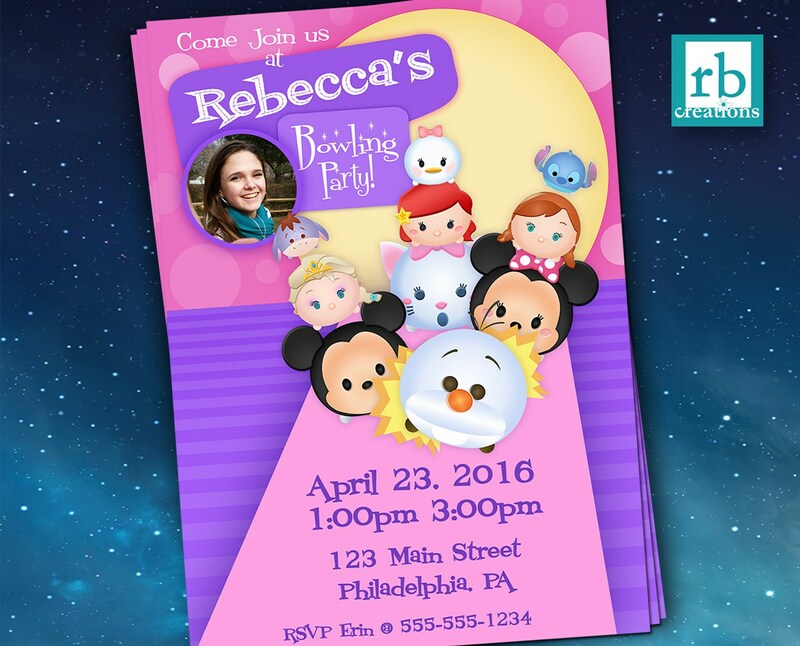 This package consists of adorable Tsum-Tsum invitations for a bowling party in your choice of your choice of size, 4x6 or 5x7. Your order is delivered as a digital file that you can print yourself at home or take to a local store - these can be printed out as photos at places like Walmart, Target, CVS etc., or on card stock at Staples, Kinkos, etc. *to clarify: NOTHING in this package is physically shipped to you; everything WILL BE EMAILED as DIGITAL FILES ONLY. The image should be a high-resolution .JPG, preferably taken by a quality camera rather than a cell phone or webcam. The image will be cropped and centered to the space on the invitation, which is roughly square – please ensure that the image is appropriate for this space. 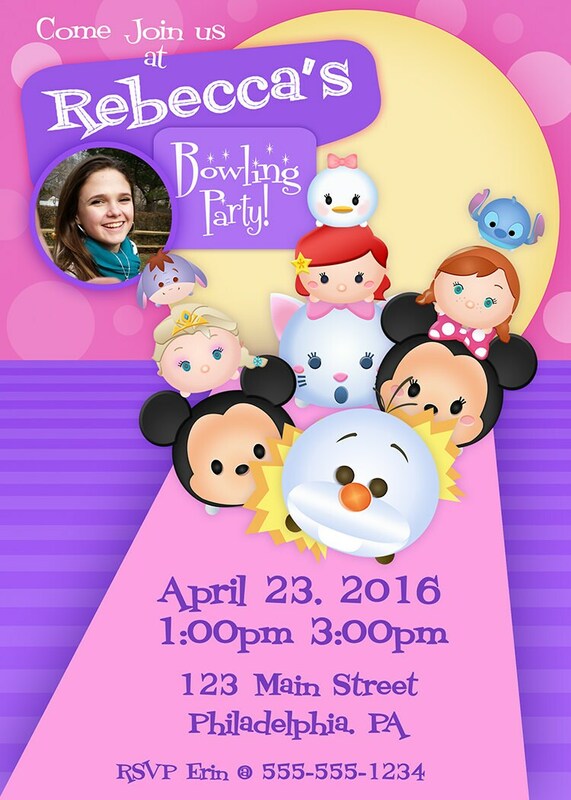 Check out our other Tsum-Tsum printables!